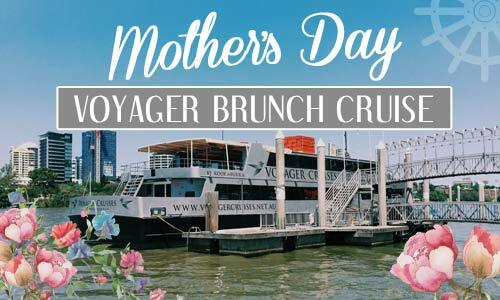 Mum will love you all the more when you treat her to a spectacular Mother’s Day breakfast on the water. Mum will enjoy a scrumptious breakfast buffet featuring all your favourites – eggs, bacon, pastries and more. Tables of two are limited on board each vessel. A guaranteed table of two is available for an additional price. THIS CRUISE DEPARTS FROM SOUTHBANK PARKLANDS. 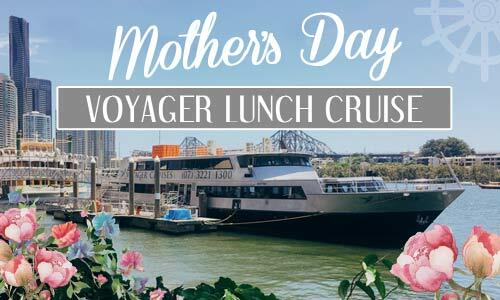 Spoil your Mum with a spectacular day on the water this Mother’s Day. Your family will enjoy amazing views of this magnificent city, delicious seasonal contemporary buffet, live entertainment. 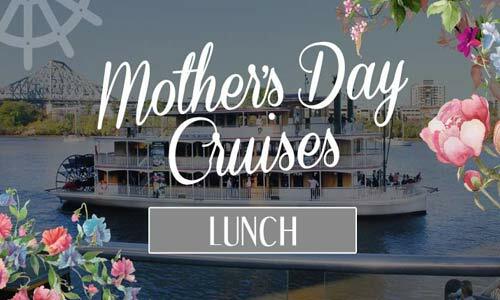 The Mothers Day lunch cruise also includes soft drink, juice, sparkling, selected wine and selected boutique beers. Indulge in spectacular views, a special delicious seasonal contemporary buffet, live entertainment plus soft drink, juice, sparkling, selected wine and selected boutique beers on board the air conditioned Voyager. 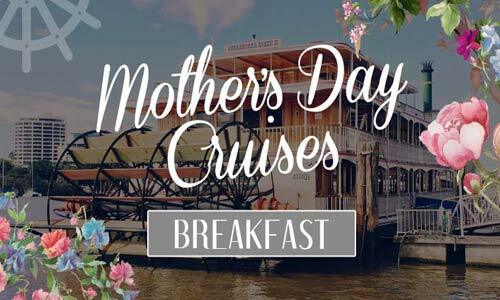 This cruise departs from Southbank Parklands. 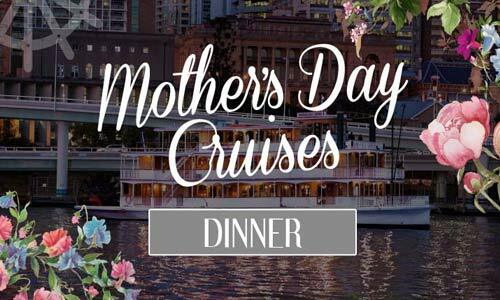 Show your Mum just how much she means to you with a spectacular City Lights Dinner Cruise this Mother’s Day. *one free infant per paying adult. ^ID required.